I just looked up the definition of "thorough" in my dictionary. Mr. Webster says it means "carried through to completion, careful about detail, complete in all respects." Somehow, I find that a convicting definition. I just looked up the definition of "thorough" in my dictionary. Mr. Webster says it means "carried through to completion, careful about detail, complete in all respects." Somehow, I find that a convicting definition. Few indeed are those who finish what they start—and even fewer do a complete job of it when they do finish a task. Now I'm not referring to a neurotic fanaticism of extreme, some impractical and unbalanced preoccupation with mundane details. I'm talking about the rare but beautiful experience of carrying out a responsibility to its completion. A course at school. A project at home. An occupation. Everyday duties. 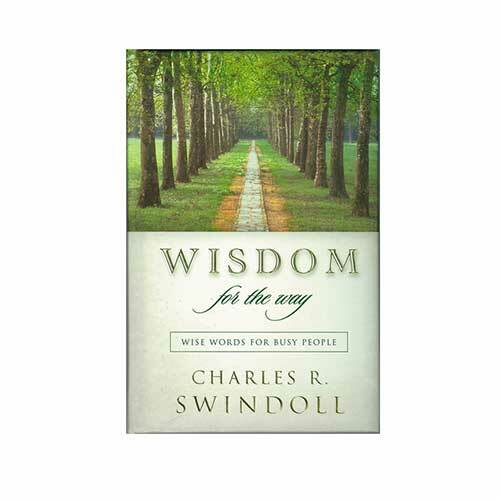 There is a verse in Proverbs that is commonly quoted around the Swindoll house when we really finish a job the way it should be done: "Desire realized is sweet to the soul" (Prov. 13:19). When you have accomplished or thoroughly fulfilled a task, you experience a feeling of satisfaction that cannot be expressed in words. Listen to another proverb: "The soul of the sluggard craves and gets nothing, but the soul of the diligent is made fat" (13:4). The sluggard longingly craves, but because he is "allergic to work," he gets nothing in return! Proverbs 20:4 makes this clear. So, what are you waiting for? Stop being satisfied with a half-hearted, incomplete job! Stun those around you with a thorough, finished product! AND STOP PUTTING IT OFF! As an oboe teacher of mine used to say when I would stare in disbelief at the difficulty of a piece of music, "Attack it, boy!" The difference between something good and something great is attention to detail. That is true of a delicious meal, a musical presentation, a play, a clean automobile, a well-kept home, a church, our attire, a business, a lovely garden, a sermon, a teacher, a well-disciplined family. Let's make a long-term commitment to quality control. Let's move out of the thick ranks of the mediocre and join the thin ranks of excellence. Does something need doing? Dig right in and refuse to give up until that task is done. Tighten your belt a notch and wade into that unpleasant job with renewed determination to write "finished" over it.